Nico came to the United States from Argentina a few years ago through his work with TECHO, a youth-led organization active in 21 countries that’s looking to eradicate poverty through a community-led social intervention model. I joined TECHO because I feel a responsibility to do something that matters, that’s what drives me. I was always given a lot of opportunities and I think it’s important to spread this sense of opportunity to those who may not have it. I feel that at the end of your journey, the world you leave behind should be a little bit better than you found it. 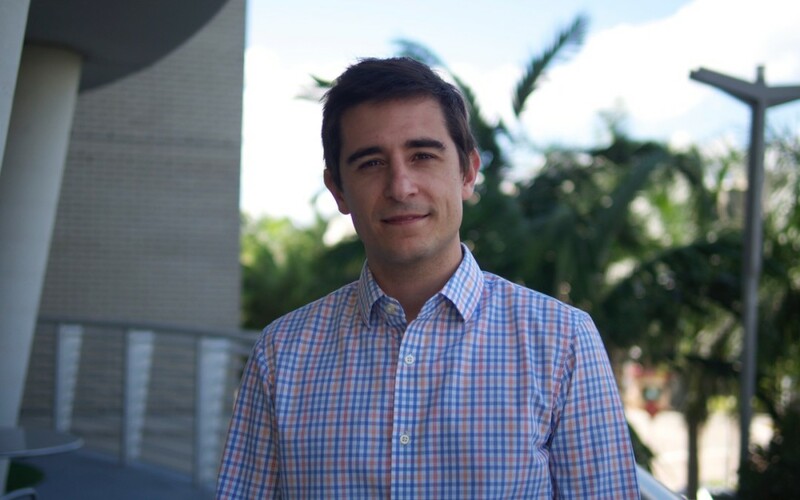 As Nico got ready to leave TECHO, the Knight Foundation approached him about launching and heading up a new network to link investors and companies in Miami’s burgeoning tech scene, and Nico jumped at the opportunity to link up capital with entrepreneurs who need it. We know that when you support disruptive, hard-working entrepreneurs with high morals, at the very least you’ll create some jobs and raise some tax revenues; but at best, you can help solve some of the world’s biggest problems. Nico is a believer in the blood, sweat and tears model of success. Effort is what matters most. If you were to model out success, the only variable that you have power to change is the amount of work you put in. Every other variable is not in your hands. The only thing you can do is work as hard as you can. Stay informed. Read anything and everything you can get your hands on – news, blogs, academic papers, novels…Staying informed helps keep your mind sharp, and the more you know, the more avenues you have to make personal connections with people. Be willing to put in the hard work. Find something worth working 80-100 hours a week for. Nothing great can be done working just 9-5. Give before you get. The worst question you can ask when meeting someone is “what’s in it for me?” The return on your investment in people can be amazing and completely exceed whatever you could have expected.